A flock of turkeys has recently taken up residence in our neighborhood. 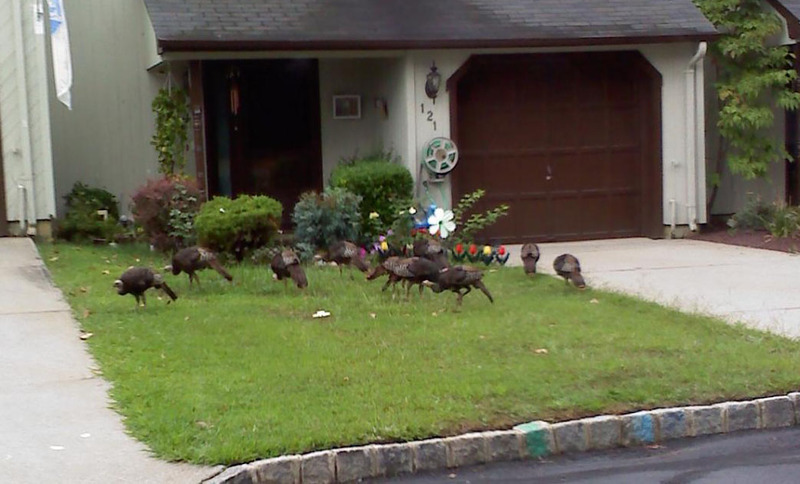 I'm vaguely pro-turkey, and it is kind of fun to have them around, especially since I've lived in the area my entire life and never seen them in a residential neighborhood. Well, it seems cool now, but I'm not sure how well the first turkey-beagle encounter will go. Apparently the tom was off in another little grouping.